In its biggest year ever, America Needs Fatima is sending out over 210,000 membership packages during this holiday season. The package includes a membership card containing a beautiful picture of Our Lady of Fatima, superimposed over an American flag. It also includes an 8-page letter, which outlines the campaign’s challenges and goals for 2002. The next challenge is to increase the home visitation program. Through its Mary in Every Home program, America Needs Fatima visits over 30,000 people a year with statues of Our Lady of Fatima. 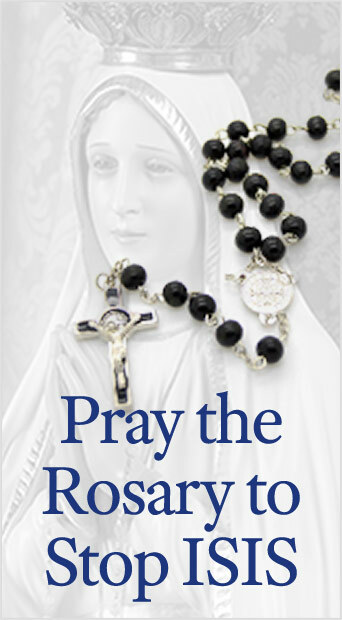 In 2002 America Needs Fatima volunteers hope to redouble their efforts so that even more people can learn about Our Lady’s Fatima message.